Most teams favor a left-side offense, typically playing shots that go from zone 4 to zone 4. If you ignore your right-side offense, though, you’re missing out on potential points. 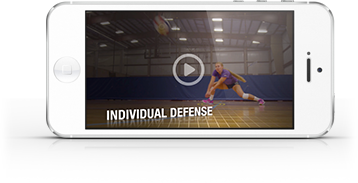 Cross-court pepper can help teams strengthen their weak side offenses by practicing shots that go from zone 1 or 2 and land in zone 1 on the opposing side. Teams who can run their offense from either side have an advantage and tend to earn more points during games. For a demo of this drill, watch the video.